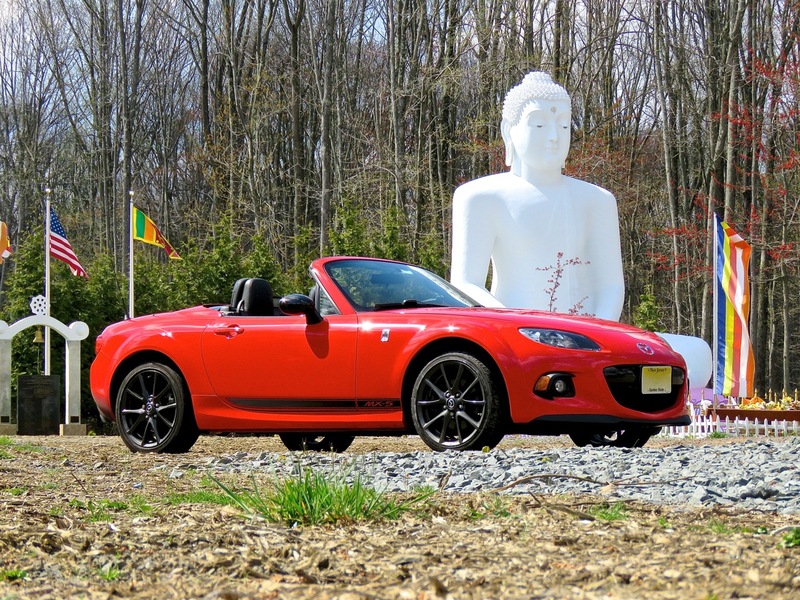 The Miata embodies the balance I was seeking in life, both as a car enthusiast as well as in my own mindset. At a time when I was about to go full ego with a big turbo on my Subaru, one of my buddies bought this little black 93 and offered to sell it to me at the end of summer. I sold my turbo and accompanying parts and made it happen. 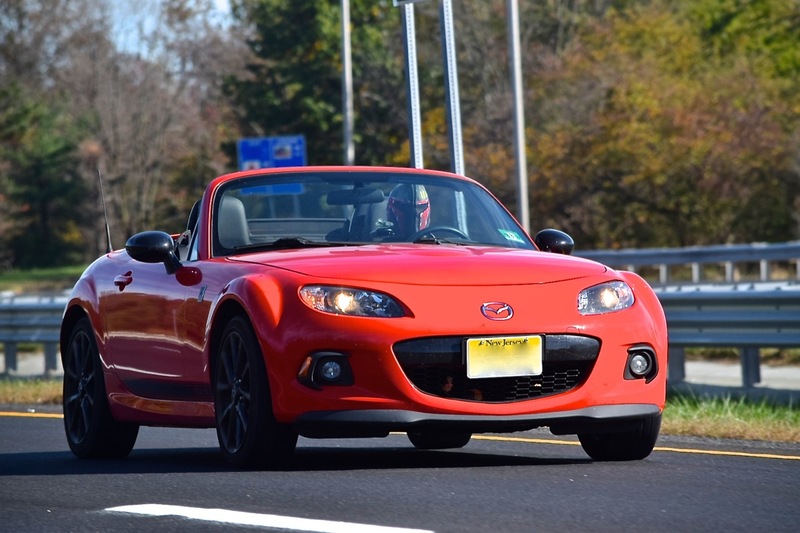 EVO Magazine said the Miata has the same sort of experience as other sports cars, but in the Miata everything happens in slow motion so there’s more time to savor it. 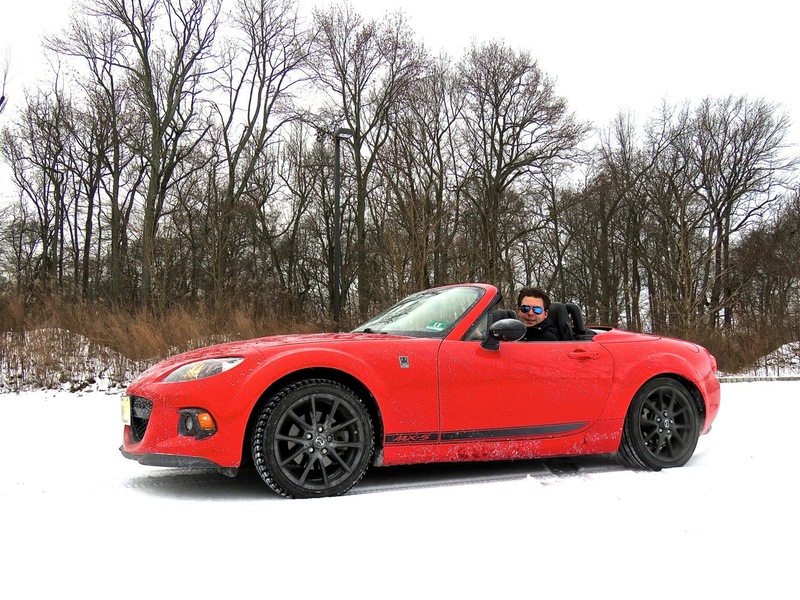 That piqued my interest big time, and as a bonus, driving the Miata also made my Subaru feel fast again, and I came to realize that having multiple complementary cars beats having one crazy car every time. I came to love the Miata’s total lack of ego, and the strategy involved in driving a momentum car fast. It’s really all about blissfully enjoying life, and it has no greater purpose than that. I call this photo the Miata Yin Yang ☯️ and it was taken by my buddy @danvphotos who had the white Miata. We had some great drives in these cars, neither of which we have anymore, but they set the stage for the future. 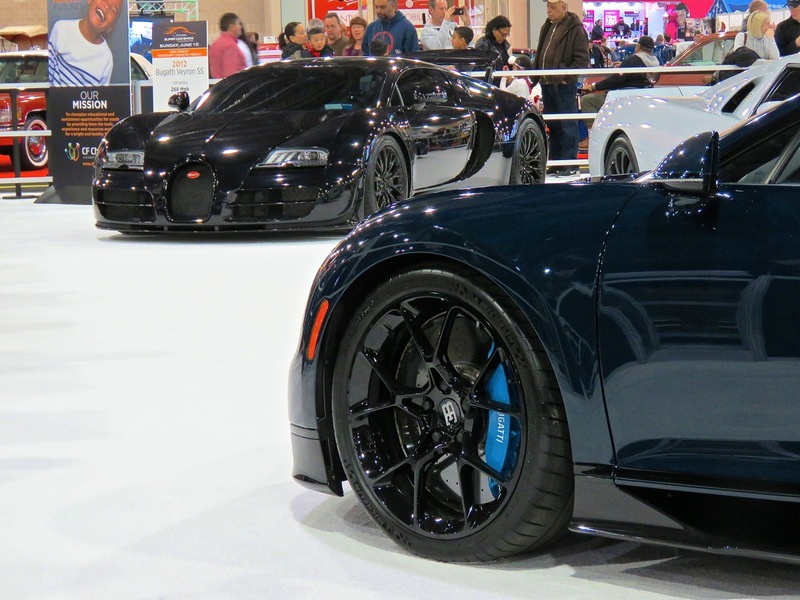 We visited the Philadelphia Auto Show this weekend and there were lot’s of sights to be seen. The exotics displays were as good as they’ve ever been, largely thanks to CF Charities and their friends. The hypercar game was strong, with two Bugattis and 3 very unique American offerings from SSC, Mosler and Saleen, among others. It was insane. The rest of the show was top-notch too, with many of the latest and greatest offerings were on display. We also got to take a quick spin in the new KIA Stinger GT, and the car made a great first impression. Enjoy the photos, some are mine and some are courtesy of my friend and co-worker Sam Chun. These are some highlights with plenty more to come. Call me biased, but I think the Miata is a way better car than the Toyota 86. My girlfriend, Gab, and I celebrated our second anniversary as a couple on New Years Eve, and, of course we got each other special anniversary presents. I got her a fancy new French wallet, and she got me a cold air intake for my Miata, Ace. New Years day was nice and warm here in the Northeastern USA, so I decided to install the intake so I could enjoy it in the unusually nice winter weather. 2016 has been many things great, and many things horrible for many people, but it sure as hell hasn’t been dull. I am no exception. A lot has happened to me this year, both relating to cars and this blog, as well as in my life in general. Relating to Mind Over Motor, I’ve gotten to drive some fabulous cars this year, everything from the Alfa Romeo 4C, to the BMW i8, to some others I haven’t shared yet. The car shows we went to this year were superb as well, and I was able to capture some truly stunning machines on camera. In terms of car events, 2016 has been nothing short of incredible. Somehow, though, I have found myself struggling with this blog a little this year. It’s not from lack of content, but more from me wanting to take it in a new direction. My life has changed a lot since starting this blog back in college, and it needs to grow as I grow in life. So I’m looking for that next step to take with Mind Over Motor, and I’ll be honest, I haven’t figured it out quite yet. But bear with me because I do still love doing this, and stopping isn’t on the menu. Life has been changing a lot for me this year. On the positive, I’ve moved in with my girlfriend, Gab, and things are going great. It’s been a big change, and there was some anxiety in the process, but it’s definitely been a positive thing for both of us. We’re building a life together, and its very exciting! Also of major note, I landed a new job last spring. It’s in the automotive field, for a company that I’ve admired for a long time, and it puts my car knowledge to good use every single day. I finally feel like my days are filled with a purposeful career, rather than just a whatever job. Both of these major life changes have been great for me in so many ways, but naturally, they’ve also meant I have less time to really focus on Mind Over Motor… at least with the approach I have been using since the beginning. That’s why I feel it’s time to implement some adaptive changes in 2017. In my own car situation, I bought two Miatas this year. 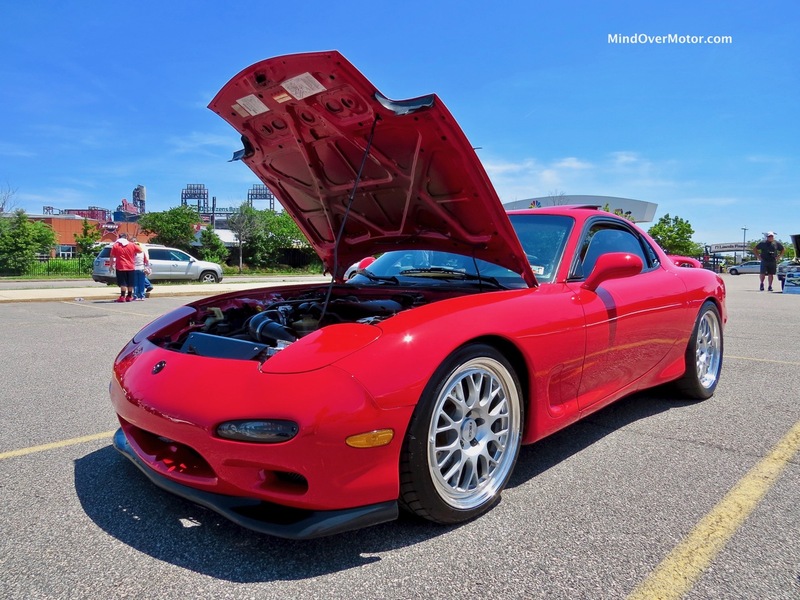 The first was Al’s 1993 Miata, which I sold after a enjoying it for a few months. 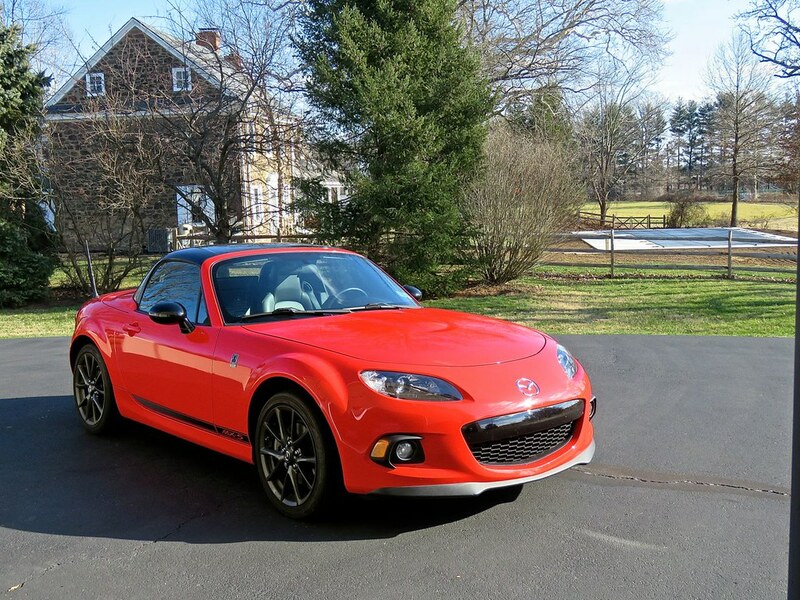 The second was Ace, my 2014 Miata Club Edition. I also experienced my first accident this year. 4 days after buying Ace, some lady decided to turn left when she shouldn’t have, and we were both very lucky to have been okay. Ace wasn’t totaled, and after about a month of repairs, I had him back in my driveway. This summer and fall, I took many wonderful trips in Ace, enjoying every bit of sunshine I could. The peak was our trip up to Lime Rock during Labor Day weekend, top down the entire way up and back. Much fun has been had, and there’s a lot more to come. As for my daily driver, I’ve still got my 2012 Volkswagen CC, which continues to swoon me while getting 30 MPG cruising at high speed. It’s one hell of a daily commuter, but it’s also up for an expensive 80,000 mile DSG service, so I’m not looking forward to that. Lastly, on a personal level, 2016 saw the passing of both of my grandmothers, just a few weeks apart from one another. I’ve been very fortunate not to have lost anyone that close to me in the first 26 years of my life (other than my dog, Peaches, RIP baby girl), but the 27th saw the odds begin to add up. It’s okay, I’m generally someone who’s at peace with the impermanence of life, but it’s mostly hard seeing those around me have such a difficult time. In the end of the day though, it’s natural, and nothing lasts forever. That’s why we all must make it a point to take the time to enjoy life in the here and now, even when we are so focused on the future. In my accident, if I had been hit a little further back, right in my driver side door, I very well could have been killed. I realize, looking back, that I wouldn’t have even known what had happened. I would’ve been at the pearly gates, confused. I think, more than anything, 2016 has given me a lot of new perspectives on life. Overall, it’s been a pretty positive year for me. It’s been a rough road in many ways, but I feel like I’m going in a great direction. I’m ready for what 2017 has to offer.